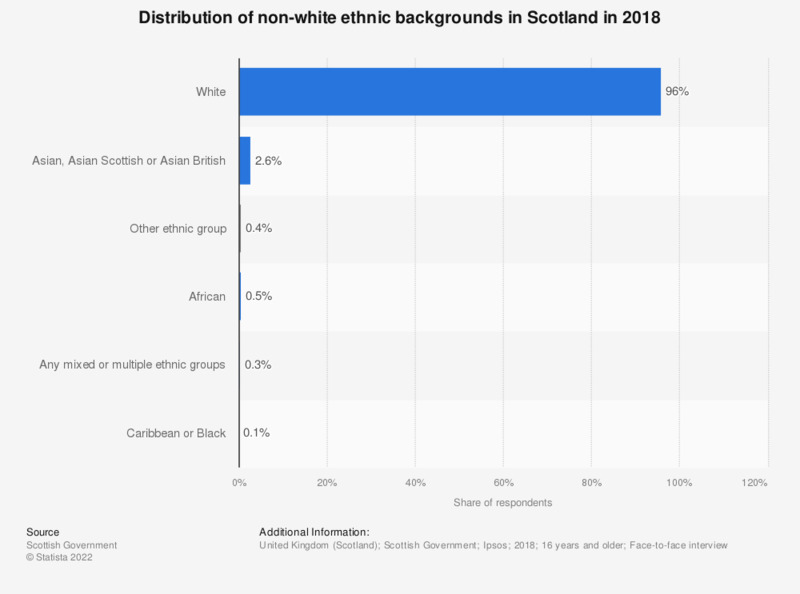 This statistic shows the distribution of non-white ethnic backgrounds in Scotland in 2017. 95.6 percent of the population identified as white. The next highest ethnic group was Asians with 2.6 percent.